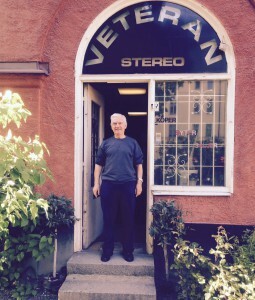 Wally from Wally Vinyl Corner visiting the store. Over the weekend, visited Wally us on his trip through Europe. He brought his tools and helped us with measurements and adjustments of our turntables Simply Black Magic and the arm Cantus . We present the results soon!